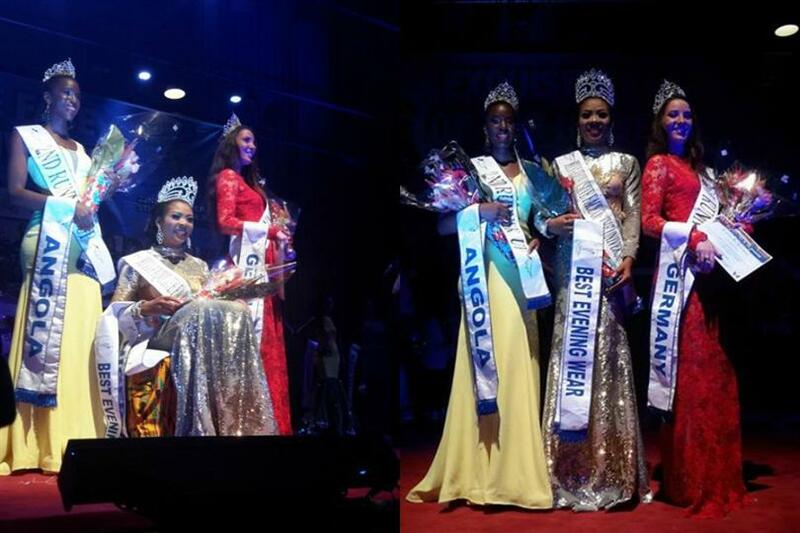 Collete Nwadike has been crowned as Exquisite Face of the Universe 2015. She represented Nigeria in the pageant held on 9th December in Sao Tome & Principe. Collete Nwadike was crowned by the outgoing queen, Susan Castano from Dominican Republic. She is the first ever black delegate to win the crown of Exquisite Face of the Universe. She also won the subtitle of Best Evening Gown apart from the main title. Previously, Collete Nwadike was crowned as Miss Tourism Nigeria. At the same event, Miss Germany was adjudged as 1st runner-up, Miss Angola was announced as 2nd runner-up, Miss Aruba was declared as 3rd runner-up and Miss Sao Tome & Principe was titled as 4th runner-up. Exquisite Face of the Universe is a pageant that aims at establishing a unique international beauty and modelling contest, born to showcase the advancements of Eco-Tourism. Nwadike is an English graduate who is currently serving as an assistant to the Anambra State Governor. She is also associated with an NGO which works for the welfare and empowerment of less privileged people of her country. She is also an aspiring actress who wishes to make her career in Nigerian film industry Nollywood. Collete Nwadike gave her gratitude to her groomer/national director, Tomi Lydia Salam, who worked extremely for her to make this pageant win. She will now spend her reign promoting charitable causes, tourism and goodwill around the world with special focus on Africa. Heartiest congratulations to Nigeria on this victory! How do you feel about the new winner? Do let us know in the comments.